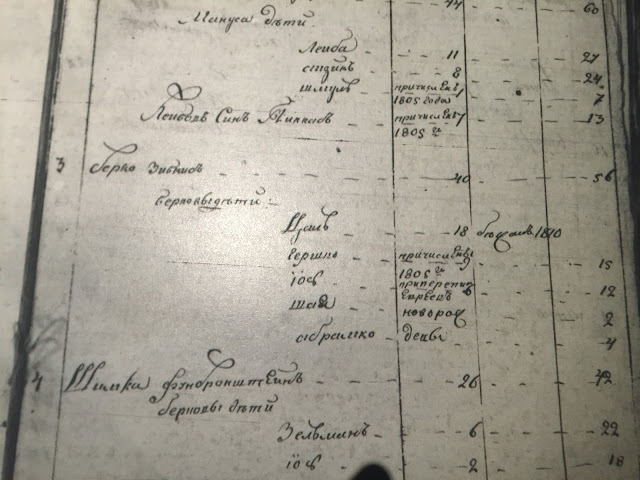 Last month, I wrote a post about the Zoupcoff family, in which the patriarch (Max) had been named as an uncle to my great grandmother's first cousins, the Supcoff brothers. I mentioned how I hadn't been able to find this branch's ship manifests. I challenged readers to find them--and took the challenge up myself to look again. So I guess I win the genealogy points I advertised, since I found them. 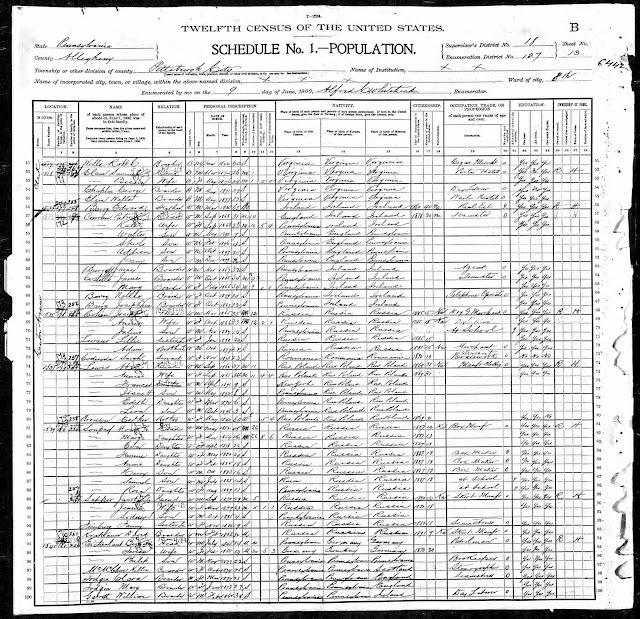 My great-great-great grandmother, Rochel Brandman Sanshuck, was born about 1832 in what is now Krasnoye, Vinnitsa, Ukraine (then Podolia Guberniya). Her parents were Yaakov and Tzipra Brandman. 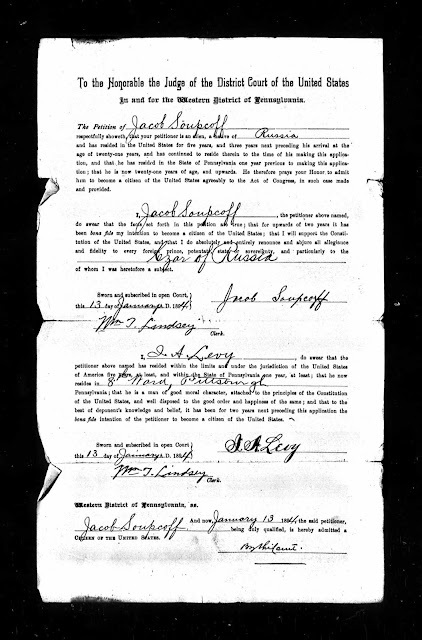 On November 9, 1849, Rochel married Aryeh Leib Sanshuck in Krasnoye. 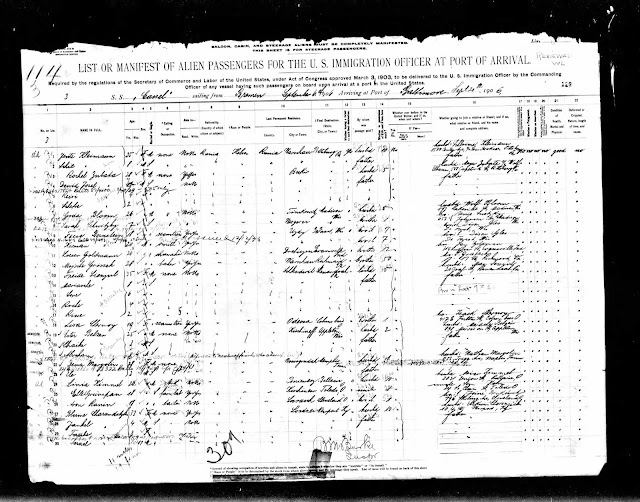 I've done multiple Ancestor Deep Dives, tracing direct ancestors through documentation. But there are some who actually remember these people--so I've asked them to share their memories. Here's the first of several. 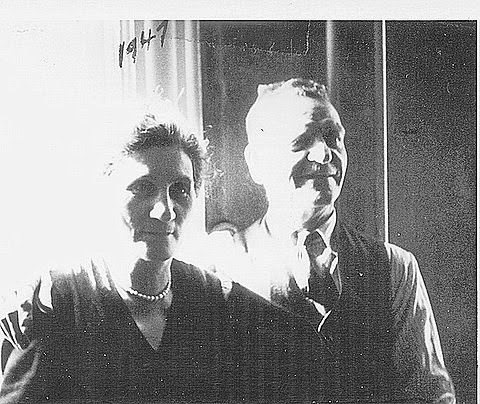 Thanks to my mother's first cousins, Barbara Lockspeiser Jaffe and Judy Lockspeiser Rosenbaum, for sharing their memories of my great-grandmother (their grandmother), Esther Rutner Joshowitz. A deep dive into Esther's life can be found here. I have some memories of visiting my grandmother on Sundays. We lived on 4222 Upview Terrace in Pittsburgh. My parents would pack us ( my brother Marty, sister Barbara and me, Judy) up into the car and we made the trip to McKeesport and spent Sunday afternoons. Yet another branch of the Supkoff-but-spelled-differently family that I'm sure is connected but I don't know how--the Canadian Soupcoffs. Frank Soupcoff (sometimes Soupkoff and Supkoff) was born about 1882 in "Russia;" his Hebrew name was Efrayim. His father's name was Moshe based on the inscription on his tombstone; his mother may have been Rebekah (according to an unsourced website). 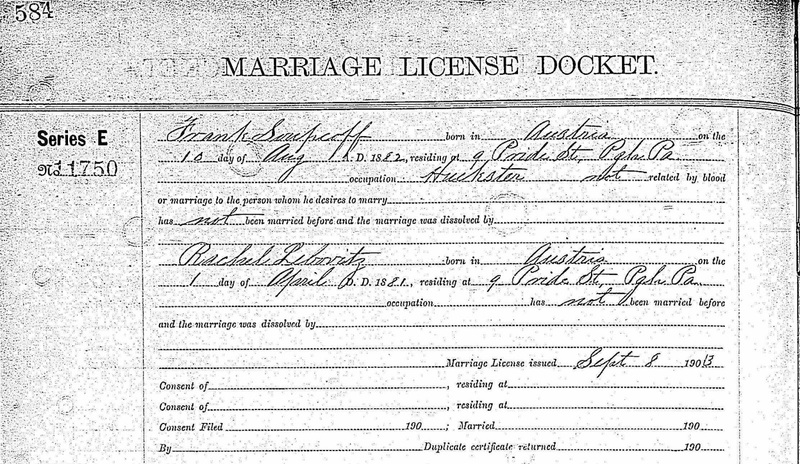 In 1903, Frank married Rachel Lebovitz; both were then living in Pittsburgh. Here it notes that Frank was born in Austria, although all other sources have him having born in Russia. Jacob Soupcoff (later Lorenz), born around 1869, was a son of Morris and Mollie Soupcoff and a sister of "beautiful Jewess" Anna. He came to America in approximately 1886. He became a physician--but seems to have a record of getting into legal problems. 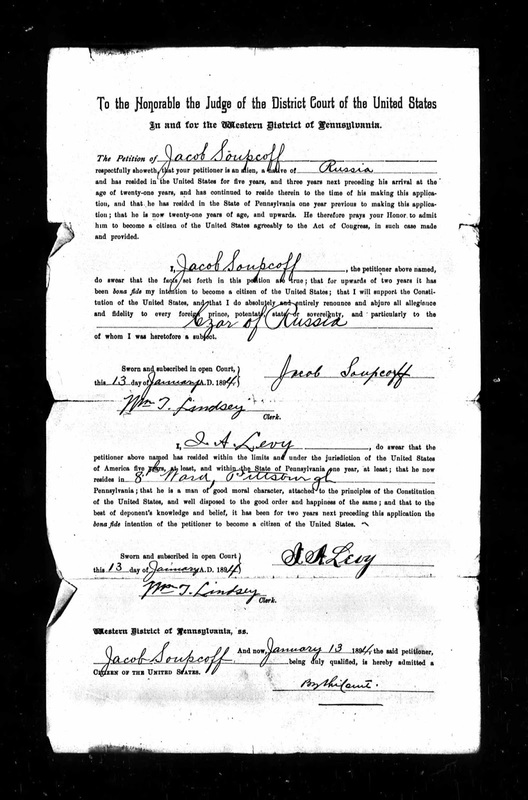 In 1894, Jacob petitioned to become a US citizen. 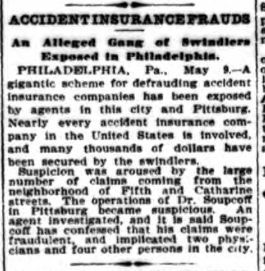 But the very next year he made nationwide news for insurance fraud. Jacob and his co-conspirators would find accidents reported in the local newspaper and then claim that they had been injured in those accidents. Anna Soupcoff Lewis King Kehr, the "Beautiful Jewess"
Anna Soupcoff, one of the daughters of Morris and Mollie Soupcoff, made national headlines after she eloped with the son of a millionaire. 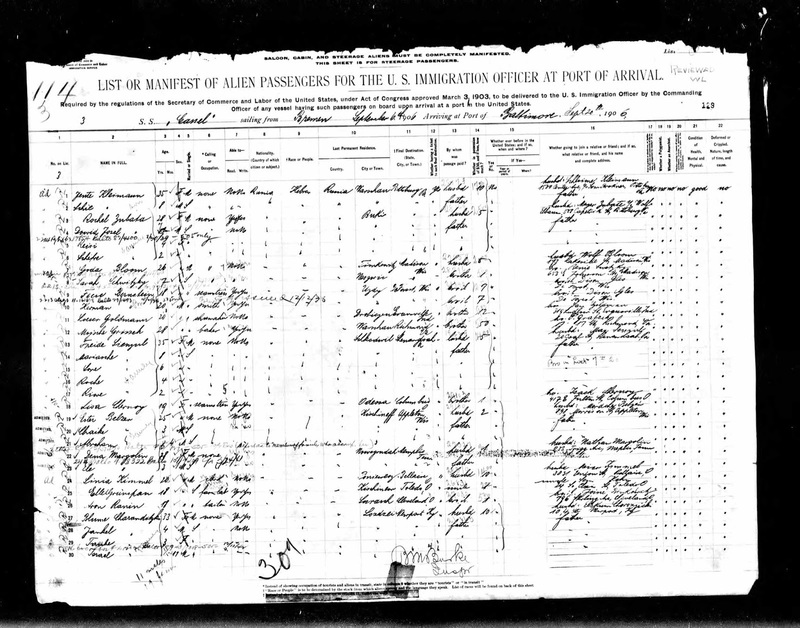 In 1900, Anna was an 18-year-old girl living with her family in Pittsburgh. 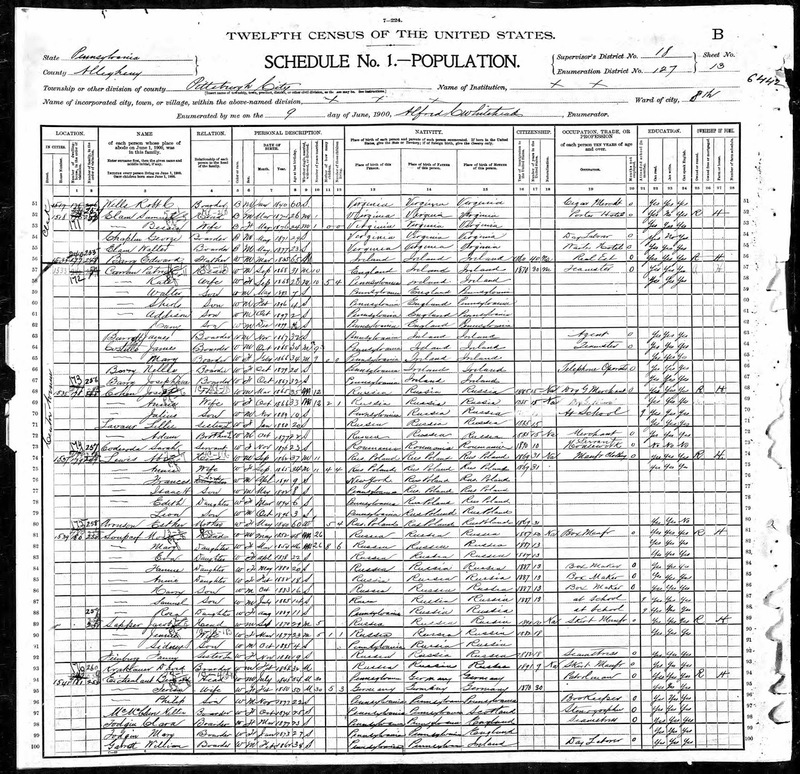 She had been born in February 1882 in "Russia," arrived in the United States in 1887, and was a "box maker," likely in her father's Keystone Box Company.